Haven't been to Newton Food centre for the longest time and yes, went back to celebrate Audrey's 22nd and a long awaited gathering. Attendance was good, everyone's present except Shafiq. Photos are with Reiko so I've gotta wait for the tags in Facebook. So here's my pictures for the night. 2 more days before she goes *sobs* (takes tissue out) so met up again for brunch. And yes, we went all the way to Tanjong Pagar for Bak Kut Teh. Route to BKT: Walk to Yishun MRT -> Alight at City Hall -> Take bus 80 -> Alight at destination. This is the result of a late night. Tsk. Ain't a big fan of BKT but this is pretty decent! Journey to watch I AM movie: Walk to bus stop (forgot which) take bus 167 -> alight at Park Mall -> walk over to Plaza Singapura. 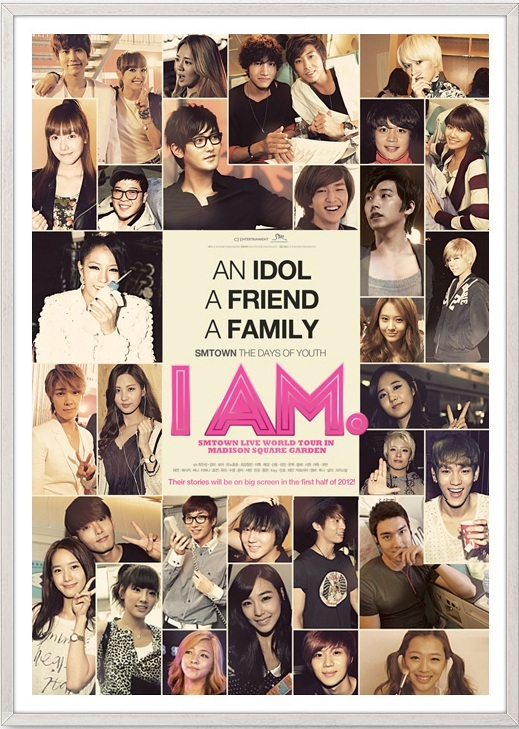 I AM was only showing at 4:10pm at Plaza Singapura hence we had no choice but to go there to watch. Luckily we pre booked the tickets because it was completely packed. Not too bad and through this, I finally can recognise more SJ members. LOL. Of course SNSD is still my <3. Night ended early with us training back together. It may only be 6 weeks but rest assure we'd miss you like it's 6 years. Have a great time there and enjoy to the max. Ain't gonna say good bye now cause we've Monday and half of Tuesday to go. I wish her all the best for everything there. Most importantly is safely, have fun, eat well (don't forget to jog there and tell me how it feels), sleep well (remember your legendary towel), stay healthy (don't fall sick, remember your supplements) and lastly return home safely. May we be miles apart but Whatsapp will do the job (though Singtel annoyingly is reducing the data bundle so drastically) we can still use Wifi. I freaking dropped my phone again. Yes, it committed suicide from 1 metre high and flat on the floor. Luckily, the previous time when my phone died, my ex-colleague actually recommended some repair shops. And you know what. A big thank you because it revived my phone! Well... I chose the one which was @ Bras Basah (thinking it was nearer but it was long because I got last without my GPS) It's actually not very hard to find the place but... okay, just blame it I don't have the GPS with me. So I went over to Bras Basah this shop called iPhonefix (you can click the name to go to their website) to have my phone fix. Within 15 minutes he was able to 'diagnose' my phone and gave me a couple of solutions and some tips to charging iPhone and external chargers. Just a couple of weeks after my phone was 'saved' it was working fine till one night... I was so engrossed on the line and my phone just slipped and committed suicide from my 1 metre tall table and poooooof! Cannot on no matter how I charge it. I tried to on it, can't. So I tried to charge it. Apparently when I charge, the apple logo appears for awhile then it changed to my home screen. (the AC sign was showing) I unlocked my phone but it showed me to 'connect' to itunes page. So when I remove the plug and switch to my laptop, the phone shut down again. When I opened up my itunes and plug in the iPhone. The apple sign appeared and then disappear. Appear and disappear. And the cycle goes on, and on. After work I took a good 30 minutes before I found the place and then it was fixed within 15 minutes. It was like almost immediate when he open up my phone he could see what's wrong with it and immediately changed the battery. Guess what? My battery connector 'broke'. LOL. I have no idea how I manage to do that but yeah, the connecting part or whatever is that was 'broken' and that's why the entire battery has to be changed. Whatever it was, spent $50 and got back my phone! Do note this is only based on my own opinions. I do not guarantee a 100% repair or they're damn awesome. Just purely sharing my incidents so that people with similar cases won't have to go through the pain of what I did (especially restoring my phone was the most painful when I didn't had the chance to finish backing up my stuff). I'm just glad my phone is working now. Finally, I've gotten a new camera! Yes, it's my second self earned camera and third camera I ever had. (First was a gift from my brother!) Welcome my new friend! I'm a extremely poor girl now ever since I bought this but no regrets! I've been eye-ing on it ever since my NIKON S620 died during my Taiwan trip last year. :( Oh well, welcome S100! Went for my first wedding by the sea, which is actually my ex boss's wedding. Some shots below... Held on Sunday, 10 June @ Sentosa Cove Glass House Dining. Congratulations boss! Have a blessed and blissful wedding! I miss all of them! And a epic picture of Mok to end the perfect night for the catch up with my ex colleagues. I miss them dearly, but I'm glad that I've left for a better place that I'm in now. Celebration of Saw's 22nd was on Saturday, 9 June @ Singapore Botanic Garden, Food For Thought. The food is just so-so but for the portion for the price we paid, it's definitely worth it. We had uncountable amount of jumpshots before we got it right. It was really enjoyable. People, you should do jumpshots everywhere you go. Off to Mount Faber after dinner for some bowling! And after bowling it was late night supper @ Swee Choon Tim Sum before we officially end the night. It has been an awesome night out with them. 'Up there', always brings endless laughters!